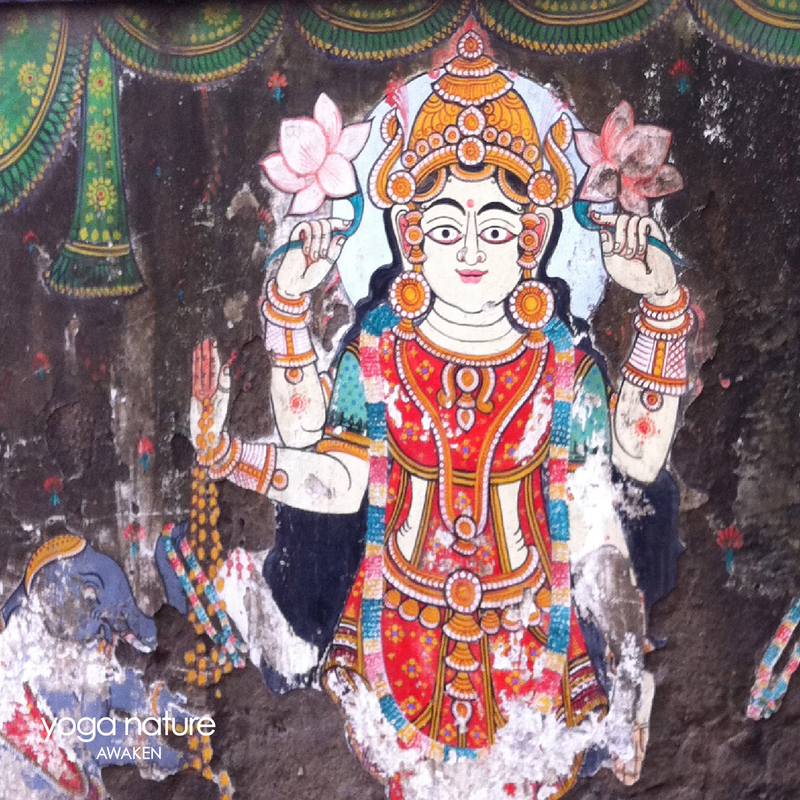 Abundance is Everywhere ~ Navratri brings back memories of my travels in India, and unexpected encounters with the Devi in all her forms… Walking down a laneway in the heart of a frenetic Kolkata, I came across the serenity of Lakshmi Devi ~ the Goddess of spiritual abundance and wellbeing. She is Everywhere! Image by Mardi: Lakshmi Devi, Kolkata, 2012 | * Verse: Excerpt from the Vishnu Purana, a literary text of about the 5th Century, which gives an account of Lakshmi’s origin as divine consort. | Translation by Wilson, H.H. 1989: Vishnu Puranam. Nag Publishers, Delhi.